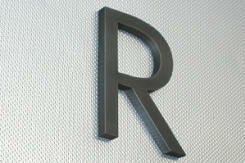 Architectural 3D Metal & Acrylic Letters, Logos, Graphics & Signs, Corporate Brand Identity. 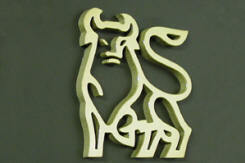 Aluminum, Brass, Bronze, Copper, Muntz, Stainless Steel, Water Jet & Laser Signage. Get the quality you want, Contact Us for a consultation today! PRECISION DIGITAL FULL COLOR SIGN PRINTING The New York City Sign, Letter & Logo Company, And Beyond, Since 1959. Dedicated In Fond Memory Of A Couple Of True Pioneers, Les & Sid. 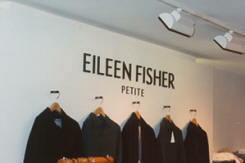 We fabricate all kinds of architectural signage and expertly install or ship nationwide and internationally. 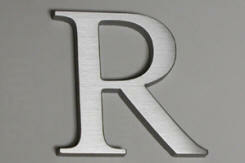 Have Letterama provide you the quality you want for all of the following and more: Acrylic Letters | Aluminum Letters | Copper Letters | Brass Letters | Bronze Letters | Muntz Metal Letters | Nickel Metal Letters | Stainless Steel Letters | Metal Sign Letters | Cast Metal Letters | Cast Metal Plaques | Metal Face Letters Acrylic Letters | Plastic Letters | Fabricated Metal Letters | Titanium Stainless Steel Letters | LED Halo Lighted Letters | LED Back Light Letters | Illuminated Letters | Metal Lettering | Mirror Polished | Satin Brushed | Buffed | Swirl Finish | Orbital Finishing | Directional | Non Directional Finishing | Anodize Finish | Swirl | Non Directional | Verde Patina | Clear Anodize | Color Anodize | Oxidize | Antiqued | Chrome Plating | Gold Plate | Nickel Plated | Titanium Finish | Sand Blasted | Color Powder Coating | Baked Enamel Painted | Clear Polyurethane | Tinting | Nickolas Clear Lacquer | PMS Pantone Color Matching | PMS Pantone Metallic Colors | True Match | Satin Brushed | Swirl | Orbital | Non Directional | Patina | Chrome Plate | Nickel Plated | Get The Quality You Want - Get Letterama - Get Happy! Copyright © 1959 - 2019, Letterama, Inc. & Letterama.com All Rights Reserved.